A Day With An Indian Soldier… This Video Is For EVERY Indian! As a tribute to all the Indian soldiers on Republic Day, TVF posted a video on their channel called ‘A Day With An Indian Soldier’. It’s about how a ‘daredevil’ reporter Manohar Virani visits an army post along LoC and spends time with an Indian soldier. 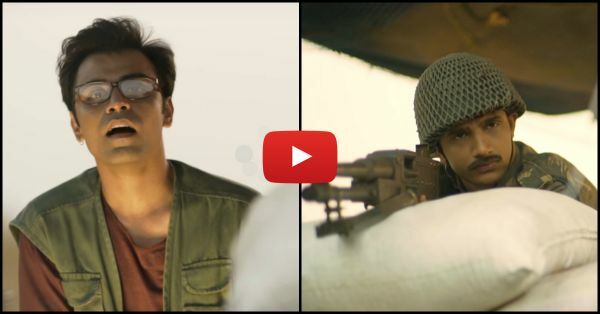 This video perfectly compares our peaceful lives with those who are guarding the border. It is a real eye-opener that will make you want to stand up right now and salute all our soldiers. The role of the reporter is played by Jitendra Kumar, who also brings a lot of humour to the video, which only adds to its intensity. This amazing video is a must watch for every Indian, so share it as much as you can. Before that, though, hit that play button and watch it right now.